Manchester United are ready to sanction the sale of 22 year old England international, Luke Shaw. The former Southampton man is struggling to make an impact at Old Trafford ever since arriving at the club back in 2014 and is expected to leave the club in the winter transfer window in search of more first team opportunities. Shaw has struggled to make an impression in Manchester as he has never lived up to the hype surrounding him. The likes of Tottenham, Everton and former club, Southampton are rumoured to be interested in signing him, and Daily Express reports that José Mourinho wants £20m for any sale. Mourinho has criticised the player for lacking the mental strength to overcome his injury setback and with Marcos Rojo expected back in full action, very soon, it is believed that opportunities to impress the manager will be even more limited. Shaw still has the hope of representing his country at next year’s World Cup in Russia but acknowledges that he needs to play regularly if he is to stand the chance of making Gareth Southgate’s team for the mundial. Tottenham are looking at signing the player to replace Danny Rose, who has flirted with the idea of playing for a bigger club to challenge for the major titles on offer. 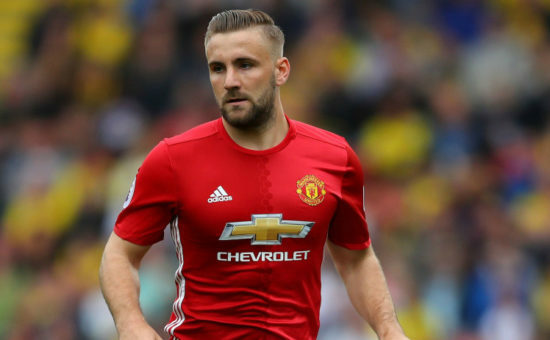 £20 million represents a good deal for a player of Shaw’s quality, as top quality left backs are a rarity right now. If he moves to a decent club and backed by his manager, he could regain the form that made him so highly coveted as a teenager some three years ago. Everton are also looking at signing him as a statement of intent about their own ambitions and also as a long-term replacement for Leighton Baines. Shaw was average in his first season under Louis Van Gaal back in 14/15 and looked set to kick on the next season after training very hard and looking in prime condition before a double leg break in a Champions League game away at PSV altered his progress. Shaw is a classy left back that is known for his defensive prowess as well as marauding runs further up the pitch. He joined United in a £27m deal in 2014 from Southampton and has made just 49 appearances for us, winning the FA Cup, Europa League and League Cup in that time.